Whether you have a business, non-profit organization, or you are just looking to build an online presence, you need a website that accurately reflects your purpose, fits within your budget, and is completed on time. Andrew Johnson, founder of Solid Rock Media, can help! Andrew Johnson is a professional web designer based in Brooklyn Center, MN and has been designing websites since he was in the 7th grade. 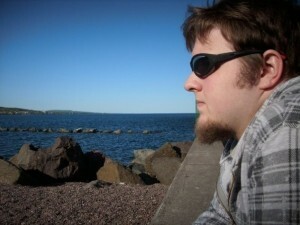 Having served since 2008 as the Webmaster and Director of Information Technology for MasterVisions, a Minneapolis based glass etching company, Andrew has a wide range of experience and knowledge in the areas of computer support, repair and maintenance. If you’re looking for ease of communication, a fast turnaround time, a friendly, relaxed business relationship, and professional service, contact Andrew Johnson at Solid Rock Media today!